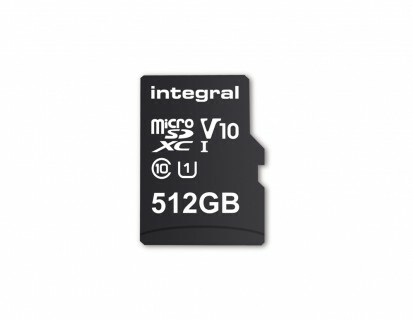 A 512GB microSD card was unveiled as far back as mid-2015, but that never came to market. Maybe this new one will work out better - Integral Memory promises it will arrive in Febuary (but there’s no price yet). The new 512GB card is rated class 10, UHS-I U1 meaning it guarantees a minimum of 10MB/s sequential writes. That should be enough for 4K shooting and plenty of it – it half a terabyte of memory! That’s sustained sequential speed, the card tops out at 80MB/s. Integral is not worried about the rise of cloud storage and says consumer preferences are clear enough. 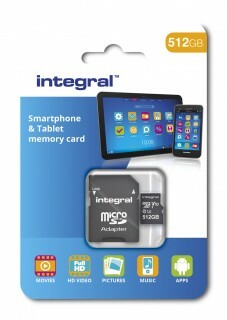 On phones (or tablets) with a microSD slot, you can upgrade the storage yourself in seconds. On slot-less devices, well, you better start deleting old videos and games. The price of the 512GB microSD card has not been announced yet, but the first 400GB microSD made its debut at $250 and is still holding its price.